I was nine years old when I first began to wish I could find away to unzip my true self out of a body I felt wasn’t thin enough. Later I would succumb to a full-blown clinical eating disorder. While I know not all women will tread down a similar, dangerous path, it’s rare to find a woman who has not struggled with her weight, appearance, or relationship with food at some point in her life. Enter our precious daughters. Most of us want to protect our children against some of the body angst we may have personally suffered or at least prevent them from seeking validation on the scale or succumbing to the Hollywood pressure to be the fairest of the fair. I’ve been blessed with three daughters, and given my own battles with a negative body image, I’m passionate about raising girls who are healthy in mind, body, and spirit. Yet, I recognize just how challenging this may prove to be. We live in a society where girls are constantly at risk of sacrificing their true selves – whether they try to find love in the arms of a boy who doesn’t really care about them, wear immodest or uncomfortable clothing to get attention and affirmation, or turn themselves into a shiny, pretty package using extreme dieting or obsessive exercising. Our daughters face a lot of pressures today, but with our guidance and prayers, we can help fight back against a culture that undermines their worth as women and help them hold onto their true selves. • Be a positive role model. My oldest is only 6, but I’m already trying to be very conscious of what I say in reference to food or our bodies. Even if I’m having an “ugly” day, I don’t voice any of this aloud. “Fat” and “ugly” are banned from our family’s vernacular. I also try to avoid talking about my weight or my body at all, but I do fail sometimes. • Don’t be afraid to admit your own struggles. Recently, I commented on a photo we have in our house of my husband and me on our wedding day. It’s a candid shot of us, and I love the way we both have these goofy, lovesick grins on our face. “That’s one of my favorite pictures,” I said aloud to no one in particular. Madeline, my 6-year-old, told me she liked the picture, too, and that she also liked the pictures from my brother’s recent wedding. “But you don’t like any of them,” she added. My heart sank. It’s true: I’d bad-mouthed myself in most of the photos because I was a pregnant bridesmaid and also had just overcome an allergic reaction on my face so some redness had to be covered up with makeup. But I shouldn’t have vocally berated myself because, number one, I’ll probably look back at those pictures in a few years and think I looked lovely all dolled up and pregnant. And number two, I don’t want my girls to overhear me bemoaning myself in any way – whether I’m being hypercritical of my appearance or my mothering. It’s important for us to be upfront with our children, especially as they grow older, if we do struggle with food, our weight, or our appearance. Our children can learn from our own mistakes and hopefully not repeat them. • Approach food as fuel for your bodies rather than a sign of morality. Food isn’t bad or good in our home. Some of it may not be as healthy for our bodies, but eating a Reese’s Peanut Butter Cup is not a crime or a sin. It won’t poison us either. Although we aim to eat healthy 95 percent of the time, we do indulge in occasional treats, and I’m careful to never serve them with a side of guilt. • Respect children’s ability to eat intuitively. Nursing babies into toddlerhood on demand, rather than by the clock, has helped to teach me the beauty and freedom of eating intuitively. Even after my children wean, I encourage them to continue to listen to their bodies and to eat by their stomachs rather than by the clock. This can be challenging as a mom because I sometimes feel like I’m constantly plying children with food; however, little ones eat intentionally, don’t clean their plate, or ignore their hunger pangs unless we teach them to start doing just that. • Let girls be girls. Women, including our sweet daughters, were created to be drawn to beautiful things; there is nothing wrong with that. Similarly, accentuating our natural beauty – if this is something we fancy – isn’t something we have to teach our children to avoid. Don’t be afraid to tell your children they are beautiful; just consistently remind them they are beautiful enough without having to conform to some unrealistic standard of beauty. Likewise, frequently remind your daughters that while dressing and prettying up may be fun, their true value runs much deeper than their rose-colored lipstick or the size of their jeans. • Focus on fitness as a path to health rather than taut abs. I make an effort to teach my children to take care of their bodies by moving them physically. We enjoy being active and celebrate the fact that our legs allow us to skip and run. We’ll even occasionally do fitness DVDs together. (I bought my girls mini 1-pound weights, so they can try to do some of the strength training moves along with me; you can also make “weights” out of empty water bottles or foam blocks like these – I made a set putting cylinder block through two square blocks with holes in them.) However, exercising in our home is always more about feeling good than looking good, and being active is a form of fun, not punishment for eating too much or not looking a certain way. • Recognize and respect each of your child’s individual temperaments, tastes, and preferences. When it comes to their personalities, my two oldest daughters are like salt and sugar. They resemble one another in physical appearance with their gold-streaked hair and bright, brown eyes, but their personalities as well as their sense of style are very, very different. Last year’s Halloween costume plans said it all: My oldest was a pirate – not a pretty pirate princess but a Long John Silver kind of pirate straight out of Robert Louis Stevenson’s Treasure Island (a book she chose to buy with money from her piggy bank after she saw the skull and crossbones on the cover). Her little sister piled on the pink puffery and transformed into a ballerina. I used to worry about my second child’s innate glam gene and was constantly telling her to not try on Mommy’s pretty shoes and that she was too young to even pretend to put makeup on. But then I realized I was not respecting her natural inclination toward pretty things. I don’t have to eschew all things feminine to raise healthy daughters. Over time, I’ve grown in wisdom and see that when my second daughter wants to try out my blush, she isn’t asking because she wants to improve her looks. What she wants is to be like her mom; she is learning how to be a woman. It’s not about the makeup or vanity; it’s about the ritual. She doesn’t see her body or face as objects to be adorned or altered. She sees them as canvases on which to paint, as mirrors with the potential to reflect inner and outer beauty. Although I want my girls to recognize their real worth lies in their intellect, their passions, their empathy, and their kindness, I also want them to give thanks for their femininity and to also be grateful for their physical beauty if they happened to be blessed with it. But I also don’t want their beauty or looks to become the cornerstone of their identity so that they lose the blissful body unawareness of childhood or start to be obsessed with some ridiculous ideal of physical attractiveness. Oh, it’s a delicate tightrope walk being a girl, but I’m willing to help them find their balance. • Remind children their bodies are growing and changing and that this is a good thing. My 6-year-old recently proudly proclaimed that some of her clothes were getting too small or too short. She sees her tighter clothing just as she should – a sign that she is growing. However, children, even ones as young as my daughter, sometimes start to equate growth with gaining weight, which feels like something they should avoid. This can be especially true for girls going through puberty. It’s important to talk about how a girl’s body will develop and how growing up means that some physical changes will begin to take root. At the same time, even if your young daughter has started to blossom physically, protect her innocence. Just because a child looks more like a grown-up doesn’t mean she is one. • Teach your child that beautiful, healthy bodies come in all shapes and sizes. Despite what Hollywood might have us believe, there is no “ideal” body shape. For older children, it might be helpful to flip through a popular magazine and to point out that fashion advertising and entertainment idealize a female body that is very difficult to biologically attain without resorting to extreme dieting and/or rigorous exercise programs (or medical procedures like liposuction). There’s no need to push “fat” aesthetics over thin ones or vice versa. Instead, help your children to learn to appreciate the diversity of the human race and that beauty is something we all possess. When we start seeing all people through a lens of love, we will see them as nothing less than lovely. • Make a simple but powerful affirmation a part of your weekly – even daily – routine. I make it a habit to at least weekly look into each of my daughter’s eyes and say this simple affirmation: “I love you just the way you are.” It’s important for our girls to know that we love them as they are not because they behave properly, perform well in school, or look a certain way. As a Christian, I remind them, too, that God loves them with an even deeper, more personal, and unconditional kind of love. 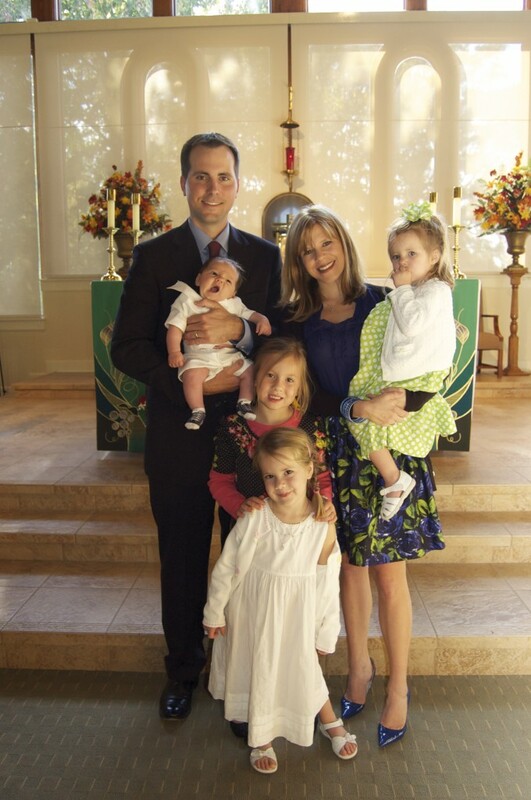 Kate Wicker is wife, mom of four, and the author of Weightless: Making Peace With Your Body. She frequently writes about body image, motherhood, breastfeeding, and faith. 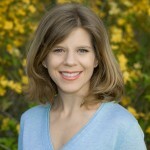 Visit her site at KateWicker.com. You can enter to win one of two copies of Weightless at the giveaway post on NPN. Commenting on this post counts as a bonus entry — find full details at the giveaway post. Enter by November 26. Contest is open to the U.S. and Canada. The Art of Being Thoughtful – Becky at Old New Legacy likes that she is mostly thoughtful but wants to become more thoughtful. She shares a story that demonstrates that giving gifts doesn’t have to be expensive. Where I Find My Worth – Sarah at Parenting God’s Children shares how finding her worth in worldly things always falls short. Oh Yeah, I’m Cool – Tree at Mom Grooves shares her very favorite gift and the thing she most wants to pass on to her daughter. Loving – Rosemary at Rosmarinus Officinalis talks about some of the things she loves about herself – some easily, and some by choice for the sake of healing. I Love Me! – A Rampage of Appreciation! – Terri at Child of the Nature Isle stops waiting for anyone else to tell her she is wonderful and goes on a rampage of appreciation for herself! Better Body by Baby – Jess from Mama ‘Roo and Family Too! shares how having her first baby makes her feel even more beautiful and confident about her body than ever before. Yeah, I’m Pretty Cool – Amanda at Let’s Take the Metro writes about her own self love and how she hopes to foster the same self-respect in her children. Who I’ve Become – The future is bright with That Mama Gretchen who shares her past and present perspective on body image and how she hopes to become a change agent with her daughter. Stop Think of Love with Your Body – Amy of Peace 4 Parents shares an exercise to gradually transition from hating to loving your body – stretch marks, sags, imperfections, and all. I Love Me! – Jenny @ I’m a full-time mummy shares the things that she loves about herself! First, I’m Superwoman. Later, I’m Supperwoman – Patti @ Jazzy Mama explains how she loves taking care of her amazing body. It birthed 4 children, after all! Baby Strikes A Pose – Emma from Your Fonder Heart writes about her family’s decision not to let their 7 month old model, and uses the opportunity to think more deeply about girls (young and old) and how they determine their self-worth. I love me! 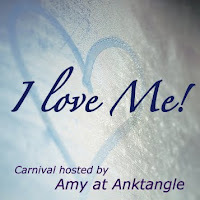 : A journey – Christine at African Babies Don’t Cry shares her journey on arriving at the point where she can say: I love me! My Daughter Doesn’t Care So Why Should I? – Jennifer at Hybrid Rasta Mama calls herself on the carpet for the image of self love and beauty she portrays in front of her toddler. Wonderful words Kate. I’m raising a son, but I am doing many of the same things. I try not to make any disparaging comments about myself or others, we talk about how everyone is different, we aren’t “clean your plate” people (although finding a balance between food that is good energy for our bodies and food that is a sweet treat has sometimes been challenging), etc. I want Kieran (and his future sibling) to grow up not only loving their own bodies, but also appreciating the many differences in people around us. I have 2 boys, and yet I still feel like there’s so much wisdom here I can use (well, and toward myself, too!). I was really touched by the affirmation you say to your daughters and would like to adopt that idea. The unconditional love of a parent means so much for self-esteem, as I know from my own life. Wow, Kate, that is such a raw and powerful testimony. Thank you for sharing. I dealt with similar thoughts recently (though I have never developed an eating disorder) and determined that, while I don’t really want to focus on my weight, I felt it was important for me to strive to be healthy instead of thin. And that is the image and lesson I hope to instill on my daughter. I love all your tips for mama’s of daughters – I’ll definitely be using these! This is an amazing post. I think every parent of daughters needs to print this out, post it on the fridge, carry it on their person, and refer to it a lot. The pressure on women and girls is worse today than it was when I was young. I am sure my mother sees the same thing. Body image was so different in the 50’s when my mother was a teenager and it was so different for me, growing up in the 70’s and 80’s. The pressure to look a certain way and be a certain size is very intense and girls as young as 2 are being forced into dieting and other ridiculous image conscious activities. Makes me sick. Thank you for such a powerful, raw post! Thank you for sharing these. I’m working to ensure that my own children understand that every body is unique, and that none is inherently less valuable than another. It’s so difficult! There are so many messages in US American society that promote the idea that some kinds of bodies (and some types of people) are worthier than others, and sometimes it feels like an overwhelming task to ensure that they understand that every person has inherent worth and dignity simply for existing, no matter how they look or sound or smell. Kate, it’s lovely to read your insights here! 🙂 Thank you for sharing them; they are all pertinent and definitely what I strive for in the relationships I have with my children. Thank you for the reminder that children naturally love their bodies and are proud of them. Its the parents that lay our insecurities on them. We need to be conscious of this to stop the cycle. A great read – thank you.